Today’s Nicaragua is not what you expect – impressions of the country from the 1980s are out of date and wrong. Nicaragua has outstanding human and natural resources. 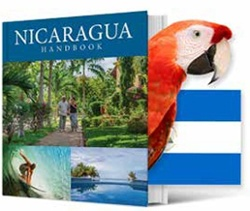 Both from the business perspective and from the point of view of tourism there are lots of reasons to come to Nicaragua and lots of interesting places to visit. It’s easy to get to Nicaragua and you’ll find that the first-world quality healthcare, stunning golf, surf and cultural interest make it even easier to stay once you’re here. Nicaragua: you can’t afford to be behind the curve. Learn about the Nicaragua you never knew existed. Discover a richness and quality of life you didn’t expect. Visit for yourself! Don’t just take our word for it. Download driving directions to Gran Pacifica from Managua and start your journey today. 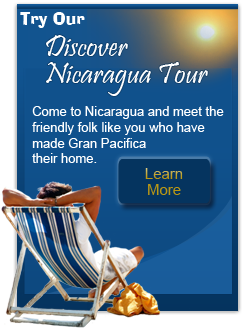 Visit Gran Pacifica during a Nicaragua Discover Tour and learn more about all investment opportunities available to you.